What Is The Difference Between Casino Sections? Anyone who has ever visited an online bookmaker or casino will be familiar with the header menu at the top of the page displaying the various different categories. These websites are often so dense that a selection on one menu only leads to another, with many more sub-sections and categorisation choices to deal with from there. It can feel overwhelming and leave new players especially unsure of where to start. Even if the website you are using only houses a casino without a sportsbook or anything else attached there can be many different portals which aren’t easy to differentiate such as Casino, Vegas, Games, Macau – why aren’t these all in one place? 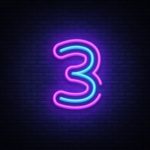 What’s the difference between all of the various sections of a website and is there anything you should know about them? How come there are so many different areas for what is essentially the same thing? Luckily the money in your account covers all areas of the same site, yet that is sometimes where the simplicity ends. Here, you’ll be able to learn exactly why things can be so convoluted, but first let’s get to grips with the various options you might encounter. Since there are so many different games available for players to enjoy, casino’s have had to find ways to split them up and make them easier to find. If you only want to play table games, for example, you don’t want to have to dig through 1000+ slots to find the one you want. For this reason, online casino sites have created various different categories that the games fit into. Confusingly, different websites list these categories in different ways, and sometimes games cross over from one category to another. If a website isn’t designed or managed well it can turn into a bit of a mess. 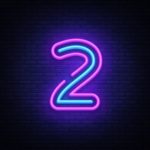 Depending on the size of the site you are on and what other betting products they offer (sportsbook for example), you may have to navigate through a few different menu’s and secondary menu’s to find the sections we are going to talk about – and not every section we mention will be in use at every casino. You will to some degree have to play it by ear as a game listed in the Games section at one casino may be listed under Slots at another. Thank goodness for the search bar! Sites that operate solely as online casinos may not have this as a section per se since the whole site is one big casino section; whereas online gambling giants that cover the whole spectrum might have an initial menu that looks like this: Sports – Casino – Live Casino – Offers. Once you select Casino you will be taken to the casino page and will likely see another menu with various other casino sections to choose from (see below). 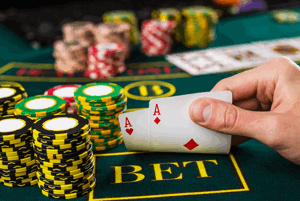 However it is laid out, once inside you’ll find all the various types of casino games broken up by game type, along with some useful filtering options as well if you are lucky. The obvious options like blackjack, roulette, and poker will be mixed in with thousands of variations of slot games, and usually a jackpot category at the very least so you don’t have to dig through all the standard slots to find them. You can guess from the title what you will find in here. Live dealers and croupiers will dish out cards or spin roulette wheels to offer you live variations on all of the most popular casino games. This is all streamed to your computer or device via the internet so that you can see and hear your dealer in action. You still bet in the same way as you would an electronic game but the dealer is real and you can interact with them, as well as with other players via a chat box. It’s the closest you can get to a real casino without actually going to one. Live casino sections often have additional bonuses and incentives for first time users, and contain many variations of both blackjack and roulette, as well as a reduced number of poker, baccarat and other card games, and sometimes a wheel of fortune type game. It’s not uncommon for companies to also put Live Casino games in other sections, such as live roulette with an Asian dealer in the Macau area, for instance. When it comes to standard slot games, there are essentially four different slot sections you might find, and Vegas is one of them. Not all casino’s do this, however, so you could find all the slots under one banner with filtering options instead. 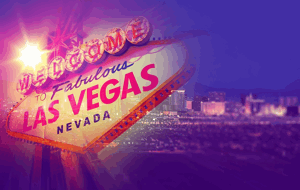 Where the Vegas section has been employed, you will find the area and the games within it styled in an attempt to reflect the Mecca of gambling in Nevada. There isn’t anything inherently different between Vegas and Casino, they tend to have all the same types of games and features, it’s more of an atmosphere choice. 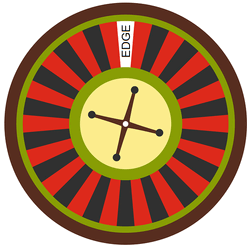 Casinos often separate games from different software companies into ‘Vegas’ sections to prevent crowding the main casino section. 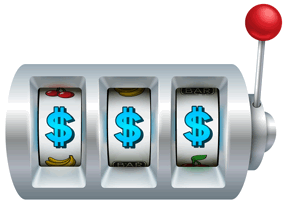 You might also find online versions of popular land based slots that can be played in Vegas. 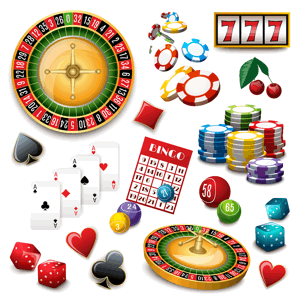 Another style that an online casino might opt for is a Macau theme. 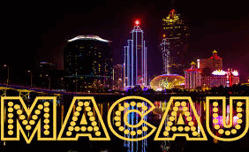 Macau is actually a special administrative region of China with a separate system of government. The gaming industry there is 7 times larger than Vegas and Macau is also the most densely populated region in the world. So, there you go; every day’s a school day. In this section, you’ll find the same sort of games that you’d find in the Vegas section of the site on the face of it, with the big difference being that the games will have a distinctly Asian feel to them – expect lots of red and gold. Again, there is no specific rule as to what goes into the Macau section, but in general it will be a mix of slots, table games, and possibly live games. As long as the casino can link it with the Macau theme somehow, it’s in there. Sometimes online casino operators choose to forgo a specific theme altogether and just keep things nice and bland. This is when you’ll find a tab saying simply ‘Slots’ – and in there you’ll find all of the games that lack an obvious look or feel. Sometimes, where categories like Vegas and Macau aren’t used, this section houses all of the slot games that casino has to offer regardless of theme. This is fine if they have something in place to filter them further (by provider or game features for example), but if not you could be in for a mammoth scrolling session before you find a game that takes your fancy. In general, splitting slots away from table and live games is a good idea as the slots section is by far the biggest, representing over 90% of all casino games. 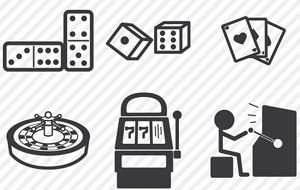 Another common section you might find in an online casino is the unhelpfully titled ‘Games’. To add to the confusion, this section is sometimes used as another name for the ‘slots’ section, although that isn’t as common. Games sections have no specific recipe and can contain table, live, and other games as well as slots, and can sometimes have a totally different look and feel to the main casino page. In general, this is a slots heavy section that will usually be employed to offer titles from a different software provider than those in the main Casino section. This is because some casino’s have deals with certain providers; so their main casino could be exclusively Playtech releases, for example, and they need somewhere else to put the rest. 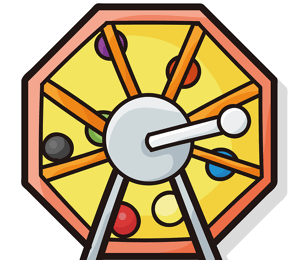 Some casino operators have their own online bingo sections, giving players the ability to play bingo through the casino rather than heading to a specific online bingo provider – and also keeping more of that customers business, of course. Depending on whether this is a standalone casino or a multi-product betting and gaming site, the number of bingo games on offer might be limited when compared to a company that specialises in online bingo, but often you’ll find most of the biggest and best-known 90-ball and 75-ball games are in these rooms. 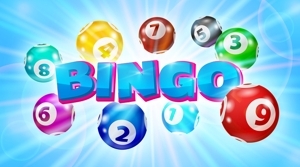 There are subtle differences between bingo and keno as games, so you’ll find that some online casinos acknowledge that by putting them into two different rooms. Again, this is a self-explanatory option specific to your gaming needs, and some of you may be keener to play Keno over bingo. Where this game is given its own section it can often feel a little unloved and empty, but that’s just because it isn’t as popular as other game categories and there is not so much range here either. If you enjoy Keno don’t let this put you off. Poker is one of the most popular card games in the world, so online casinos can hardly be blamed for wanting a piece of the action. 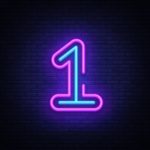 Whether it’s online tournaments or individual poker rooms where you can compete at any time of day or night, this is the section that you’ll want to head to if you’re a fan of the game. Expect to find numerous variations on a theme, from Texas Hold’em through to Omaha and everything in between. It is very common these days to find Poker absorbed into other sections, and you can also find poker games in the Live Casino, and under Table Games in the Casino. You might also find that the Poker section takes you directly to a download client. Many casinos do this as poker attracts a lot of people who aren’t interested in anything else, so the casino has created somewhere the player can feel fully absorbed by what they are doing without the flashy logos of slot games to annoy them. The lottery remains as popular a game now as it was when it was first invented, so online casinos will often run their own lotto section that you can play whenever you feel like it. Various lotto formats are available including regular draws by the minute up to those by the day or week. Of course, the longer the time between draws the higher the prize tends to be. Different from both Bingo and Keno, Lotto areas will also sometimes also contain scratch card type games that are fast and easy, and you can also bet on the outcome of National lotteries from other countries without actually entering the lottery itself. Why Separate Out Casino Games? There are three main reasons why a casino operator might choose to separate everything out rather than have it all under one roof. The first is somewhat obvious: simplicity. Players who use online casinos don’t want to have to root around the place to find what they’re looking for, so splitting it all up into different sections makes life an awful lot easier – except when it doesn’t. The fact there are so many different ways of doing this shows that no one has figured out a way that works perfectly yet. The second reason is that some casino operators use different providers to supply their games. You might use a company that has slot games in the Casino provided by Playtech, for example, whilst their Live Casino is the responsibility of Evolution Gaming. But they don’t want to limit themselves by only using a single slot provider so they need somewhere to host all the other slots, too. By splitting them up it makes it easier for both punters and the casino operator themselves to know who’s responsible for what. The final reason that online casinos might split up their game catalogue is to give customers different offers for each. Let’s say that you open a new account with a company and they give you a new customer offer of £100 in free bets; you might be able to select which part of the casino you use that in. It’s unlikely you’ll be able to swap it from one to another, but a rival company might offer you £100 in Live Casino gaming and an additional £100 for their Bingo. Keeping them separate allows them to do that, which you then benefit from.